Street markets in Malaga as general rule are repeated weekly in the same place although sometimes they correspond to special events such as Christmas or celebrations of some kind. Ideal for buying souvenirs, handcrafts and articles at discounted prices. Among the names people call them here are bazaar, rastrillo, feria or zoco among a few others. In the province those streets markets are very popular and they present a great variety. 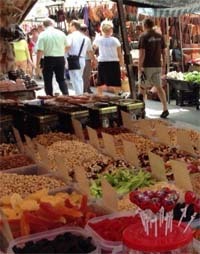 In the province of Malaga those street markets are very popular and offer a great variety. You can find medieval markets, ecological markets, clothes, handcrafts or even second hand and antiques street markets. In addition a large number of municipalities organize these markets so every day of the week you can find one to visit. Traditional markets are those offering in their stands varied articles. You will find clothes, home decor, electronics and there are also second hand markets, often they are both mixed. You will be able to find a street market every day of the week at any of the towns of Malaga, although this list will be with the most representative. I might add more in a dedicated entry into our blog with all of them. If you want to visit any of the street markets or souks you must do in the morning, they use to close between 1pm and 2pm. They are open one day weekly except festivities or rainy days. Find antiques and handcraft products in this street market. More than 360 stands with all kind of articles on sell at the Fairgrounds of Marbella. At Fuengirola Fairgrounds the traditional market is every Tuesday except festivities or when Fairgrounds are being used like during Fuengirola Fair or Feria de los Pueblos. This traditional market features a large variety of articles, including handcrafts, fruits and more. More than 100 stands with all kind of articles. Around 260 stands with all kind of items at discounted price. Colmenar is a typical white village you can visit during your holidays. If you visit it on Thursday you can also find a street market with around 25 stands. On Thursdays there are around 50 stands at the Calypso Urbanization. Popular street market with around 240 stands every Thursday. Around 115 stands every Thursday at Calle Plateros. Every Thursday there is a street market in Torre del Mar at Plaza de la Paz. There are around 200 stands. When: Every Thursday from the 12th of January to the 28th of December. At Tivoli World's public parking you can find a popular street market with more than 200 stands. Traditional street market with around 30 stands. Location: Calle Pinsapo, Las Chapas. On Fridays there are two handcrafts markets in Mijas, one in Cala de Mijas. In Manilva there is a traditional street market at Calle Nueva every Friday. What streets markets are available on weekends? The Saturday this flea market takes place in Benalmadena Pueblo, it is located at Los Nadales Fairgrounds.. In this market you will find a bit of everything, from clothes to books, food or shoes in their more than 20 stalls. There are two street markets on Saturdays in Puerto Banus, a traditional one with handcrafts at Avenida Manolete and another handcrafts market with around 25 stands at Antonio Banderas Square. There are two street markets from 10th of January to the 31th of December, one traditional market with all kind of articles and a second hand market on Saturdays. Second hand market: From 9am to 2pm is open this market with handcrafts, antiques and second hand articles at the Fairgrounds in Fuengirola. You will find from home appliances to souvenirs or home decor. Sunday's street markets: During Sunday morning the traditional street market is behind the Mosque at Doña Sofia Square at Mendez Nuñez street. This street market is available on Saturdays at the old Fairgrounds and features more than 100 stands where you can buy food, plants, home decor and clothes among many others. When: Every Saturday from the 10th of January to the 26th of December. This street market is organized on Saturdays at the Periurbano Park in Coin with around 70 stands with fruits, vegetables and other products. The second Sunday every month there is a handcrafts street market in the commercial area Pier One in Malaga Port. When: Second Sunday every month. First Saturday every month with handcrafts, accesories, good environment and much more. When: First Saturday every month. At this square, next to Picasso birthplace there is a handcrafts market once a month. Second hand street market in Torremolinos every Sunday at the Fairgrounds. Second hand and handcrafts market in Estepona at the bullring. Street market in Benahavis at Explanada de la Ermita. Every month there is a ecological market in this area of Malaga. Every month there are 2 ecological street markets in Marbella with seasonal products without intermediaries. Location: First or second Saturday each month at Urbanization Elviria in Av. España or in C/Sirio, Nueva Andalucia. When: First and second Saturday each month from 21st of January to the 16th of December - 10am to 3pm. 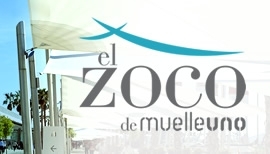 The third Sunday every month there is an ecological street market in Benalmadena. When: Third Sunday every month from 11am to 3pm. The last Saturday every month there is an ecological market in Malaga with natural and seasonal products. The first Sunday every month there is an ecological Market in Estacion de Cartama. When: First Sunday every month from 5th of February to 3rd of December. 10am to 2pm. There are 2 ecological markets in Mijas, one is the second Saturday and other is the last Sunday every month. Location: Boulevard de la Cala in Mijas the last Sunday of the month. Ecological and handcrafts market in Ronda with many products at discounted prices. Ecological market in Benajarafe in 2018 for first time every Saturday. When: Saturdays from 10 am to 2 pm. There are many more street markets, those organized weekly in the white villages and those made for special events like the Christmas markets.